The start of making her mine. Her now ready for camping , fishing, and tailgating. It all started when I was 13 and took a summer job landscaping as a helper. 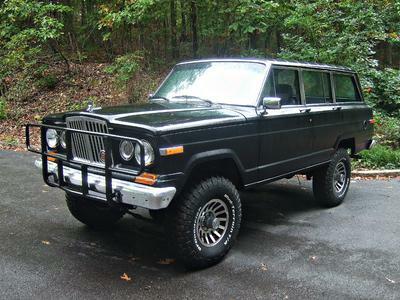 My boss had an old CJ which started my passion for Jeeps. It ran rough but worked like nothing I had ever seen. No brakes to speak of, just a basic beat up Jeep. We used it to haul timber and pull stumps. It was a beast that never stopped. Getting older I always wanted a Jeep to be part of my life. I got a Jeep Wrangler new and the fun began. Having a Jeep as a young man my Jeep Wrangler allowed adventures with friends and great memories. As I got older and starting a family the Wrangler became too small to include my family in my adventures. 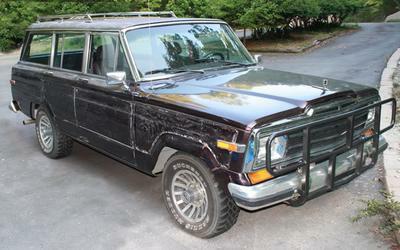 Then I got my beloved '91 Full Sized Jeep Grand Wagoneer aka "Family Truckster". It has been fun modifying and making family memories. Truckster" (Vacation movie reference? ), Clint. 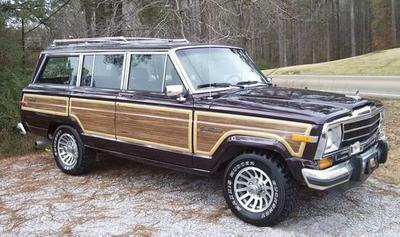 Those are some really cool modifications you've done on your Grand Wagoneer. I especially like the "buck-tooth" Gladiator type grill you added to the mix. Please give us more details (use comment link below) regarding specific mods done. I'm sure our readers would like to know more about this sharp looking rig of yours. Thanks! Hi, Love what you did. My question is where did you find the new grill and what type of lift kit? Did you remove panels on your own, and do you have any tip for me? My wife just bought the same one and we will be doing the same basic thing to hers. Dan...I am a member of IFSJA.org (International Full Sized Jeep Association) which is a wonderful forum group of Jeep lovers...check it out. They have information that's a must for us full sized Jeep guys and gals. My lift is a 6 inch HellCreek. 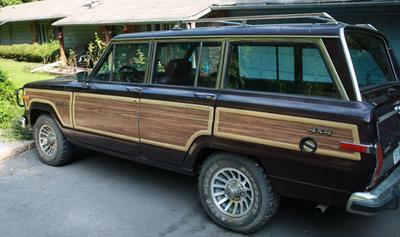 Here is most of the progress I have made on my '91 Wagoneer. The grill that Clint and Walter are using is from the old Gladiator or Wagoneer from the '60s. I put one on my 1973 Wagoneer, and you can put some real bright deer shining lights in those inboard grill sockets. Still have the grill from the '67 Gladiator. Meanest looking one made.